Six well-known journalists and analysts from Kabul traveled to Doha and visited officials of the Political Office of the Islamic Emirate from 28 November to 3 December 2016. They discussed some important current issues with the officials of the Political Office. Similarly, they asked many questions to which the designated team of the Political Office provided adequate answers and explanations. 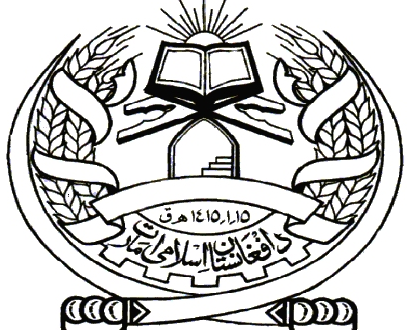 During the discussion, the delegation of the Islamic Emirate also mentioned that if America announces short-term time table for the withdrawal of her troops from Afghanistan, it will pave the way for the Afghans to come together and see eye to eye about establishment of an Islamic system and rehabilitation of their country. But, the spokespersons and assigned analysts of the Kabul Administration were then harping on the point that winter was fast approaching and Taliban were weak during the winter season. They are trying to prevent the launch of military operation against them during the winter. Furthermore, they emphasized that the military operations should begin in order to crush the Taliban so they would lose their capability of fighting in the upcoming spring season. Based on this viewpoint, the Kabul Administration launched military operation against the Mujahideen of the Islamic Emirate under the name of Shafaq-2. But instead of making advancement, they had to retreat notwithstanding many efforts on their part. Now, they are under siege in different parts of the country. In recent video reports of Kabul media outlets, military personnel of the Kabul Administration admit that Mujahidin of the Islamic Emirate were present at a distance of 5 to 10 meters (in Laskargah), “We could even hear their voices”. They say, “We are not able to raise our heads because of them either during the night or in the day. We move by crawling in our outpost. Lashkargah is counting the moments of its collapse”. Now they level allegation against one country or another that they have provided sophisticated weapons to the Taliban. “Taliban are well equipped as compared to us”, they claim. Even in the past, whenever they had lost their capability to fight against the Mujahidin of the Islamic Emirate, they claimed foreign fighters and generals were fighting against them. The fact is that by leveling such accusations they want to justify or conceal their failure. The Islamic Emirate has no military relations with any country. But, regarding political relations, we would like to point out that the Islamic Emirate is a reality in Afghanistan. As an independent force, it has relations with different countries of the world and these relations have existed from long time before. The relations of the Islamic Emirate are not limited or linked to one country. It shows the strength and insight of the Islamic Emirate. As a true representative of its Muslim nation and of our Islamic and national interests, we want to utilize and maintain our relations with other countries. It is worth mentioning that peace can be obtained in Afghanistan only when the invading countries and their domestic allies accept the ground realities of Afghanistan, acknowledge the Islamic Emirate as a reality and cease resorting to futile and useless show of power.